There are currently 36,127 users on this website. 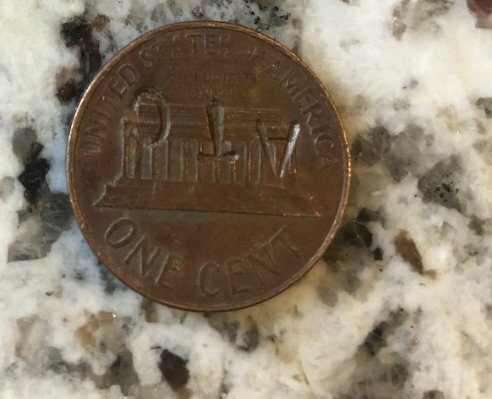 hello, does anyone know what these marks are on this penny? 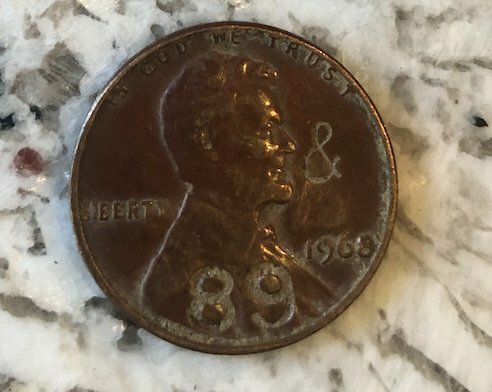 There is a "&" and "89" on the front and "ATC" on the back. Thanks for any help. Counterstamp done by some bored guy with a punch and hammer set. Yes. That is a counterstamp but it was done by a gentleman who gives each coin a different number. If you try searching Google I'm sure you could find him. He keeps a spreadsheet showing where and when it was released into the Wild and whenever one pops up like this. If you can't find him I'll look tonight or tomorrow morning and see if I can be of assistance. If my memory serves me correctly the last two of these we've seen he found the coins here.